You can specialize a trust fund to meet the needs of your child. Many parents are interested in securing their children’s financial futures. Two methods to accomplish this are starting a trust fund and savings account for your child. Trust funds are not simply for the extremely wealthy -- anyone desiring to leave assets to minor children can benefit from a trust fund. 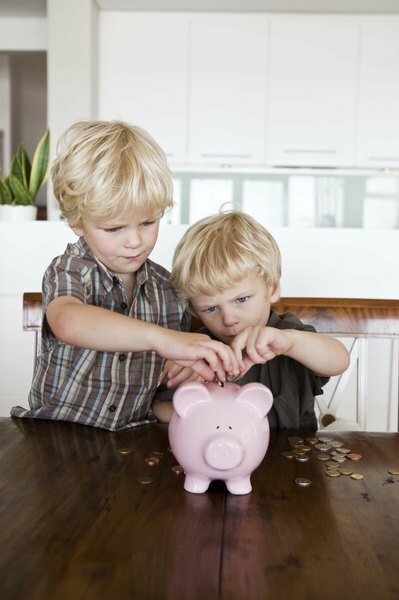 It is important to understand how trust funds and savings accounts for a child work. When you establish a trust fund, you set up a legal entity that holds your assets until an appointed time. The assets are placed under the control of a trustee, whom you select. You can choose the trust department of a bank or someone you know personally to act as the trustee. You also designate a beneficiary when you create a trust. This is the person who receives your assets according to your desires. Two types of trust funds exist: a living trust and after-death trust. A living trust is established while you are still alive, and a after-death trust is created in accordance with the directions left in your will. A trust fund is beneficial if your children are inexperienced and unable to handle financial matters in a responsible manner. A trust fund allows you to govern how your children receive the assets, which can prevent them from squandering the money. You can set up a trust to give your children a certain portion of the funds every year. Unlike a will, the details of a trust fund are kept private. This privacy protects your children as well as your assets. Starting a savings account for your children not only allows you to put money away for the future, but also teaches them valuable lessons about handling financial matters. Your children can learn at an early age how to deposit and withdraw money from a bank account and how interest is earned. Some factors you should consider when opening a child’s savings account is the location of the bank, the purpose of the account, associated fees or minimum deposits, and interest rates. Another important savings account for a child is an education savings account. The two most common accounts are a Coverdell Education Savings Account and a 529 plan. Both plans allow you to save money for education expenses in a tax-efficient account. A 529 plan is a state-sponsored account that comes with a prepaid tuition or savings plan option. Specific rules apply to education savings accounts, so it is important to understand how they work. The IRS allows you to contribute up to $2,000 annually to a Coverdell account for your child. The contribution limits for a 529 plan vary per state and account type. How Much Tax Credit Can You Get for Child Care Expenses?